I’m Matthew McKinney, a third year student from the University of South Florida, in America. When I first came here, I wasn’t sure what to expect; being only the third student from my University to come here, I hadn’t had a chance to talk to anyone else from my University who had studied here, and had to keep an open mind as I moved into an unknown country I’d heard many things about but had never really seen. Since then, I’ve learned many things, regarding both academics and culture – my own and others. Since coming here, I’ve had many opportunities to meet new people and make friends from all over the world. As many of us are unfamiliar with Japan, we frequently explore around our locality, across the Tohoku region of Japan. I’ve been able to visit a lot of places, from temples to corner coffee shops, and have had tons of chances to simply wander around Akita City, something that I don’t think would seem appealing in my hometown. A lot of my best memories are from this, and the exchanges with people I’ve had while exploring. 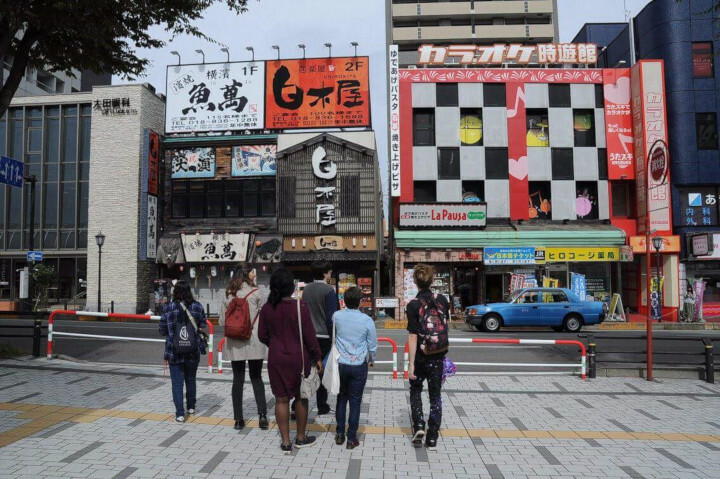 On a similar note, the opportunities to go on University arranged trips like the one to Oga, where we were able to see the Namahage Museum and the GAO Aquarium, have similarly provided great opportunities to get closer to people from all over, and to understand them and their cultures on a different level, in different environments that you wouldn’t be able to see your peers in in many school environments. When I first came here I had some lofty ideas about joining clubs; I joined about 5 in my first week, and then lost about one a week until I stayed in two: XMA, or Extreme Martial Arts, and Shorinji Kempo club. However, even just in those I’ve managed to meet some great people and make some great friends, as well as learn a lot about things I’ve wanted to learn for a long time, from more experienced students who are very open to helping out and guiding people who are less familiar with the sports. Even though they’re small and can be demanding, I’d recommend either of those clubs to anyone looking for a club at AIU with a great community.